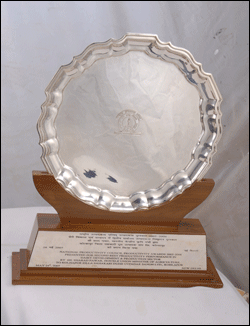 NDDB Excellence Award for highest number of functional women dairy cooperative societies. Union holds ISO 22000:2005 Certificate for Food Saftey Management System. Cattle Feed Plant holds ISO 9001:2015 Certificate. 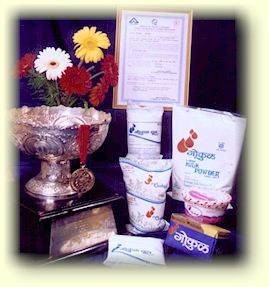 The plant has been awarded 14 times in Dairy & Animal Feed Processing segment by National Productivity Council of India. 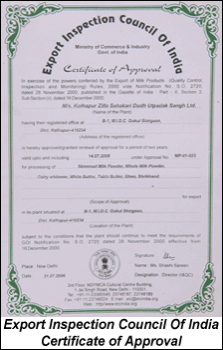 The Union holds license from Export Council of India to Export the products. 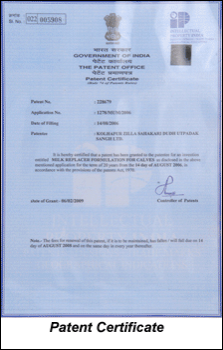 Received patent for 'Milk Replacer' for calves by Government of India. 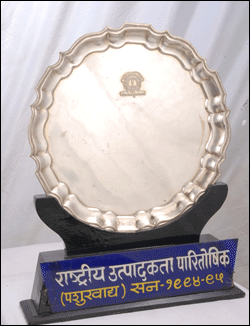 First Price for Energy Conservation in Dairy Vertical , 5 times by Government of Maharashtra. Here are some details of the Awards that we have won over past years. 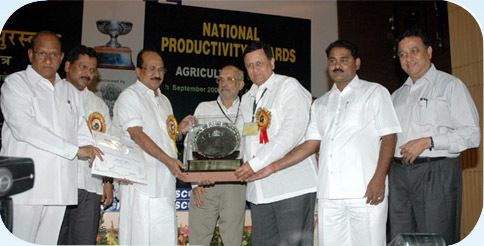 The image on the right denotes 2nd Prize for National Productivity Council Award. 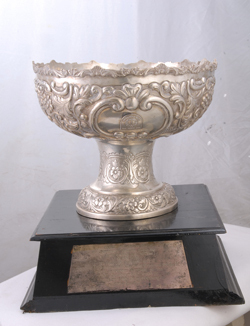 The 2nd Prize was won for the following years.